In short this blog is for Geeks & Computer Worms, who wants to be up to date before others. We work hard to serve you first and best of all and to satisfy your hunger of Technology. Thanks To all Visitors and followers to support us to grow. This Site TechnoLily is only for Guides to people about Education, How to and Daily Tips and not to harm any Rights. I Hope You will Get Useful Information and Helpful Stuffs from Here. If you have difficulty in any topic or doubt in mind. Just Feel Free to ask me in comment of that topic. 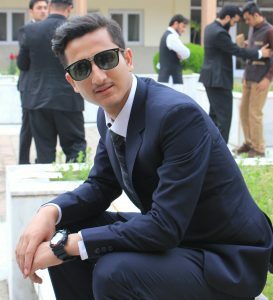 Arshad Bangash is a part time blogger and tech geek from Pakistan. Apart from blogging he is a Medical Student doing MBBS From Ayub Medical College Abbottabad Pakistan. He loves to write about technology, blogging, SEO, Internet Marketing, Make Money online, Social Media, Android, Windows and other interesting topics likes technology hacks. He is also a Founder of Mbbsstudystuff.com and He love to share what he knows.